Cortez is a living remnant of Old Florida. 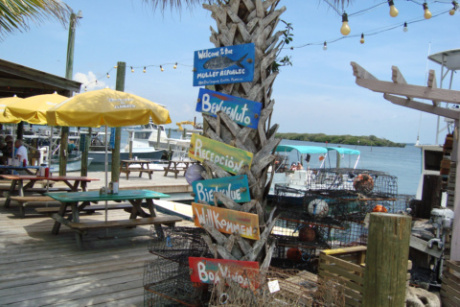 It is a small working fishing village located on a peninsula in Sarasota Bay on Cortez Road (State Highway 684) that connects Bradenton and Bradenton Beach. Cortez is not a trendy place, but a living community of weathered old houses and fish companies, fish nets, crab traps, floats and all kinds of boats, old and new. It is fitting that several good seafood restaurants can be found in Cortez including Starfish Company, Cortez Kitchen, Swordfish Grill and Seafood Shack. These restaurants are able to serve fresh fish every day of the week, year round. Cortez was founded about 1890 by several families from the waterfront town of Beaufort, North Carolina. These families are still represented in modern day Cortez. Some of the names are Guthrie, Bell, Taylor and Fulford. This maritime heritage is showcased in The Florida Maritime Museum located in the restored 1912 school house at the Cortez Nature Preserve. 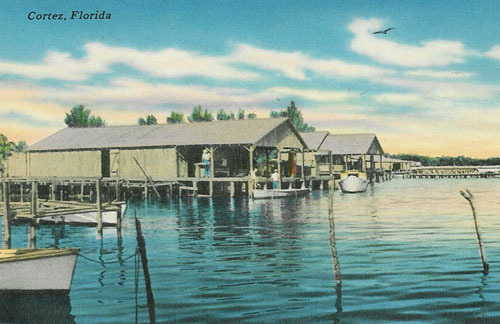 Cortez is also home to FISH (Florida Institute for Saltwater Heritage), a non-profit group set up in 1991 to help preserve the heritage of Florida Gulf Coast fishing communities. Among events that also help preserve this heritage are the annual Cortez Commercial Fishing Festival, first held in 1981, and the recently initiated Ben Gullet Mullet Invitational. The mullet event is a cast net only tournament that helps raise money for FISH and the Cortez Historical Society. 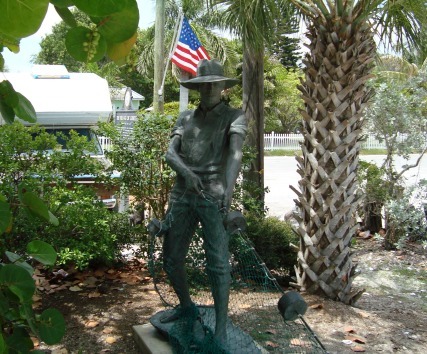 It is named after the late Ben Gullet of Bradenton, who was well known as a cast net fisherman and mullet smoker (a man who cooks mullet in a smoker). Starfish Company Dockside Restaurant is on the waterfront in Cortez, one of Florida's last remaining genuine fishing villages. It was founded way back in the early 1920's as a wholesale seafood market. Over the years it evolved into a retail seafood market and finally included a kitchen and small outside dining area. It is a great place to eat, especially if you like fresh fish, usually fried. Most of the fish is caught in local waters along this beautiful stretch of west coast Florida. Among their offerings are grouper, scallops, shrimp, calamari, conch fritters, clams, oysters, mullet, crab, pompano, salmon, mahi mahi, stone crab claws. You can also get chicken and even a hamburger although I've never tried it. They also serve hot dogs. Beer and wine is also served. One of their specialties is shrimp and grits, and my personal favorite is their blackened grouper. They also have a great combination plate of shrimp and scallops. They have a good seafood chowder and a nice fresh seafood salad. You place your order at an inside counter and give them your name, go outside and sit at one of the picnic tables and wait until they call your name. Your meal will soon be ready in cardboard boxes which you eat outside. Sometimes you will see local fishermen feeding the pelicans. Don't try to do this yourself, however, as a pelican can be very agressive and inflict pain on you with his big beak. The view from the dock dining area is great. You look west over the water to Bradenton Beach and Longboat Key. Most days you can also take a sunset boat trip from Starfish aboard Captain Kathe's boat. It's also nice to know that mullet is still abundant around Cortez and at Starfish Company. They have smoked mullet, blackened mullet, fried mullet and mullet just about any other way you can think of. Starfish can be very crowded on weekends and during the winter season when the snowbirds are in town. Just resolve to be patient and enjoy your surroundings. Old Florida as it used to be: shrimp boats, tangy salt air, pelicans, herons, dolphins....you will not be alone. In summer months it's best to put on some insect spray before going to Starfish. Mosquitoes have also discovered the place and like to dine on the diners. More information at Starfish Company.